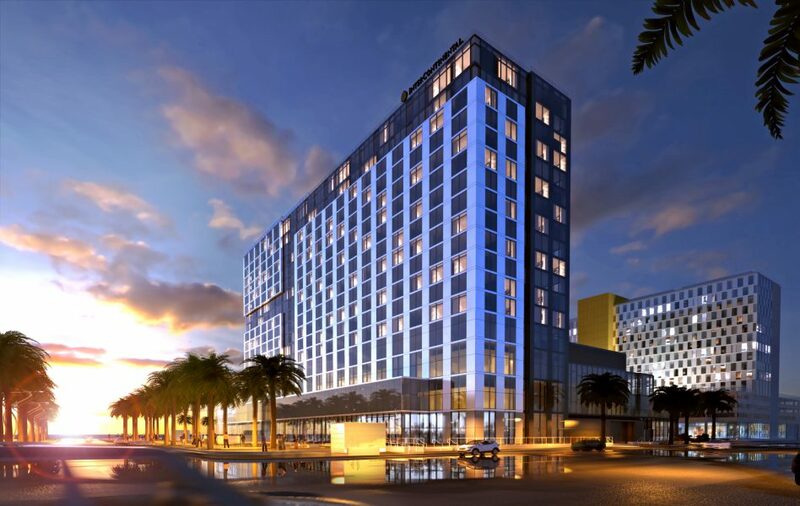 IHG (InterContinental Hotels Group) has opened InterContinental San Diego, a new-build 400-room property overlooking the scenic San Diego bayfront. InterContinental San Diego ushers in a new wave of luxury and sophistication to the downtown area and it redefines the city’s waterfront, creating a new urban retreat and social epicenter for guests and locals. This is the third InterContinental Hotels and Resorts property in Southern California and joins the recently opened InterContinental Los Angeles Downtown and the InterContinental Los Angeles Century City. Located on the historic grounds of Lane Field – the former baseball stadium of the San Diego Padres from 1936 through 1957 – InterContinental San Diego’s preeminent location is steps away from the Embarcadero, which docks both the famed USS Midway and Maritime Museum of San Diego, in addition to several cruise ship ports. It is also close to downtown hotspots, including Little Italy, the San Diego Convention Center, Gaslamp Quarter, Seaport Village, and more. At 19 stories tall, the hotel boasts 400 elegant guestrooms with 24 spacious panoramic suites; five on-property restaurants, bars and coffee shops; 95,000 square feet of meeting and event space; and impeccable service synonymous with InterContinental Hotels and Resorts. InterContinental San Diego also features an expansive 4th floor rooftop pool, sundeck, and pool bar, a contemporary 3,300-square-foot health and wellness center with a yoga terrace and state-of-the-art video wall for on-demand workout classes, and the exclusive Club InterContinental lounge offering premium amenities and tailored services. On the 3rd floor, two of San Diego’s most distinguished local chefs, Paul McCabe and Amy DiBiase, have joined forces to create Vistal, a united culinary vision that fuses into one their individual flairs and expertise. Open for breakfast, lunch, and dinner, the bay view signature restaurant presents bright, bold combinations of flavor influenced by the Baja peninsula, Pacific islands, and Mediterranean fishing villages that have shaped San Diego culture. Launching in October 2018 will be Del Frisco’s Double Eagle Steakhouse in the brand’s first West Coast location. A ground-level Starbucks coffee shop and a 19th floor rooftop bar are expected to debut in early 2019. All retail portions of the hotel will be managed by San Diego-based Reef Real Estate Services.